This class is an embroidery bonanza! 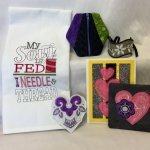 We will introduce different stabilizers, embroidery techniques, projects and fun project ideas. Over the course of two days we will complete 6 projects for you to take home! We will embroider a bracelet, a coaster, a card, a zipper pouch, a towel and an ornament. We will provide machines and all supplies needed! 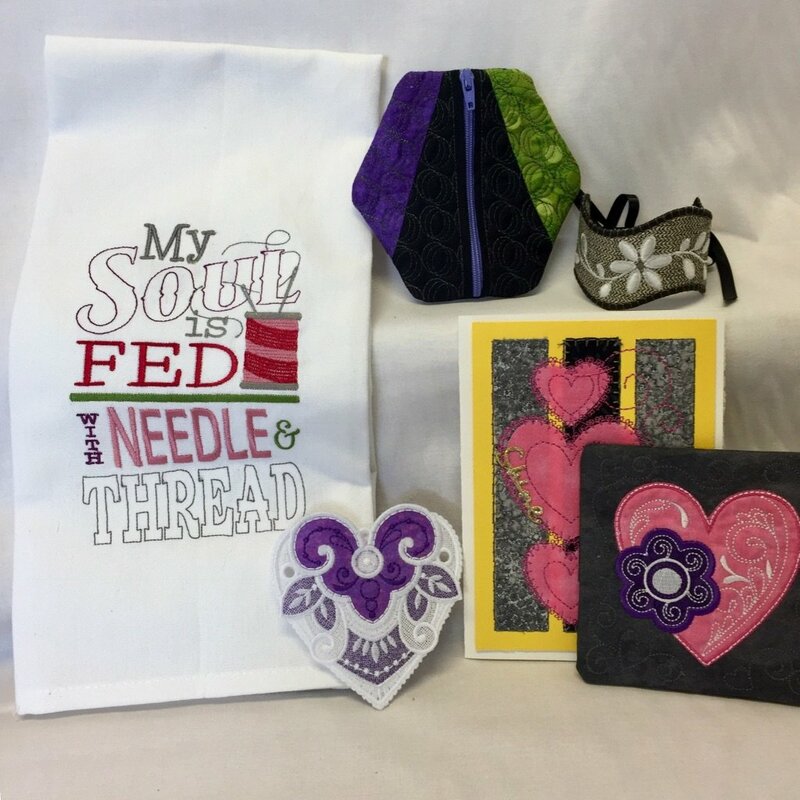 Stop in to see our samples and to learn more, if you love to embroider, or are interested in learning more about embroidery, you won't want to miss this! Includes all materials and use of our machines!